our story starts in 1868. Roxton is a small Texas town at the intersection of two farm roads. The soil is acidic and lacking in the minerals that turn most dirt dark brown, so here it's yellow, or light brown, or red. My great-great grandmother, Hannah, was born there in 1868. Her daughter, Gertie Bell, and her daughter's daughter, Marie, were also born and raised in Roxton. red dirt is inspired by them. I'm Whitney, and I make red dirt. I've been dabbling in herbs + essential oils for most of my life (thanks to my herb-obsessed Mama), but it wasn't until I said good-bye to hair relaxers in 2009 that I began to whip up handmade beauty products. 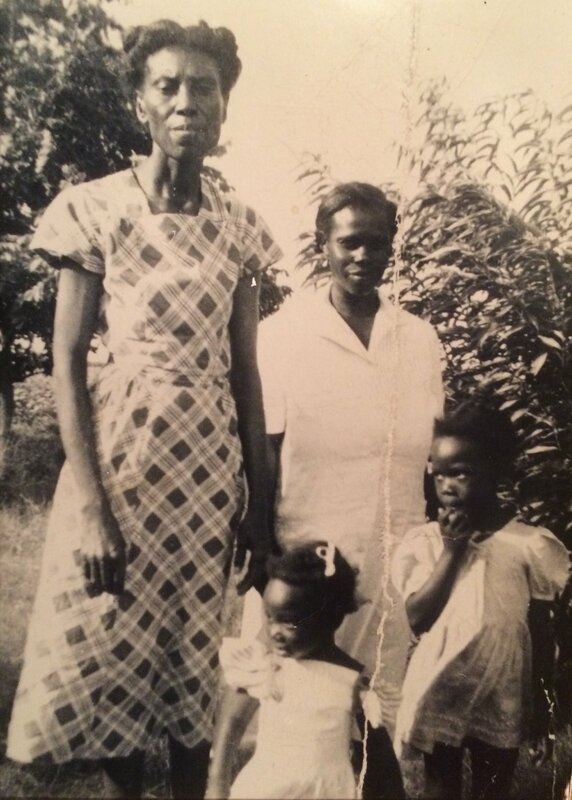 I spent more than a year perfecting my first product, gertie bell hair + body butter, and named it for my great grandmother, who I never had the pleasure of meeting. All of my products are named for women in my family. They're inspired by the creativity, beauty and love I saw my grandmother, mother and aunts put into everything they made. All-natural, sustainably sourced and made for multiple uses, my products are crafted with love and care.